Hi everyone! I am so excited to be here for another year of amazing Christmas ideas on Design Dazzle. 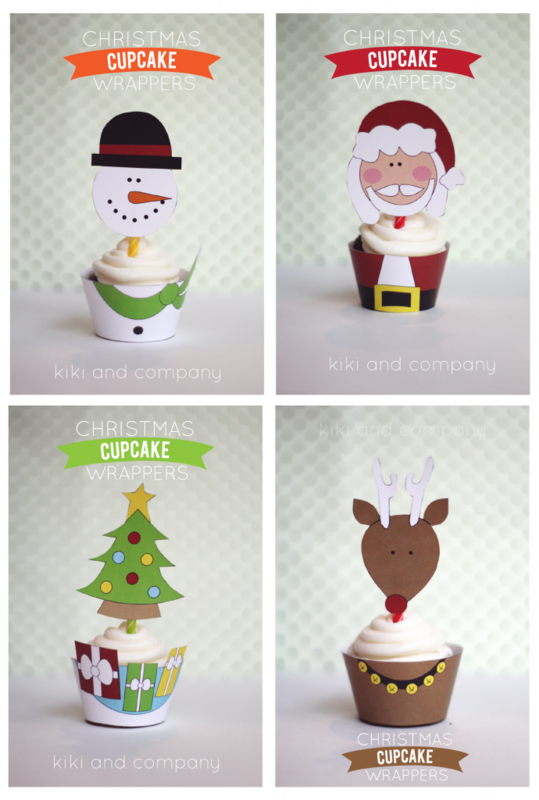 My name is Kiki and I blog at Kiki and Company where you can find all kinds of projects and printables for your home. I also have a fun digital print shop that you’ll want to check out for the holidays! I am a mother of 5 awesome munchkins and they make Christmas SO exciting each year. 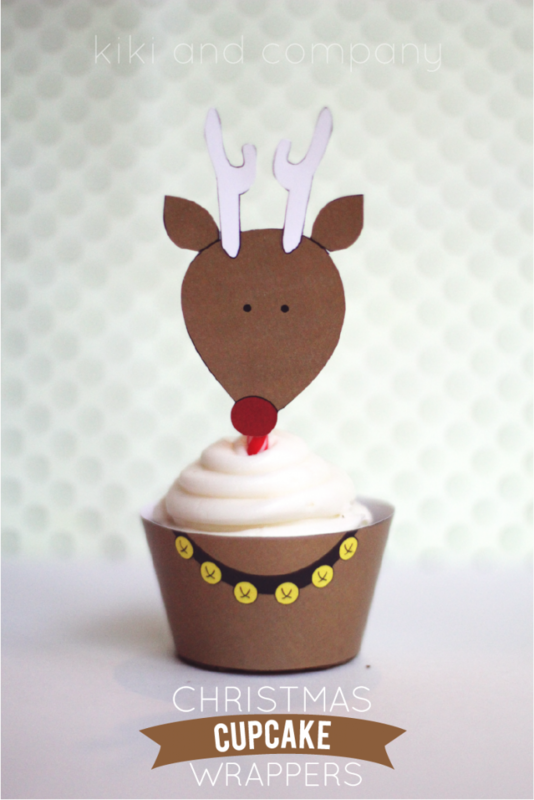 I have 2 kids in school and they like to take treats to their annual holiday party, but as you know, schools don’t allow homemade goodies, so we have to find a way to make store bought treats cute! 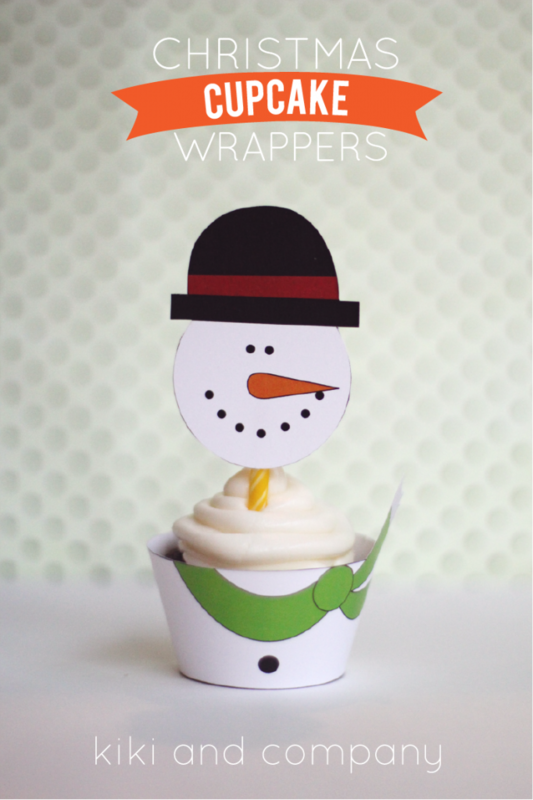 Today I want to share with you an idea to turn store bought cupcakes into cute holiday treats with Christmas cupcake wrappers. They couldn’t be easier to put together (a must around this time of year!). 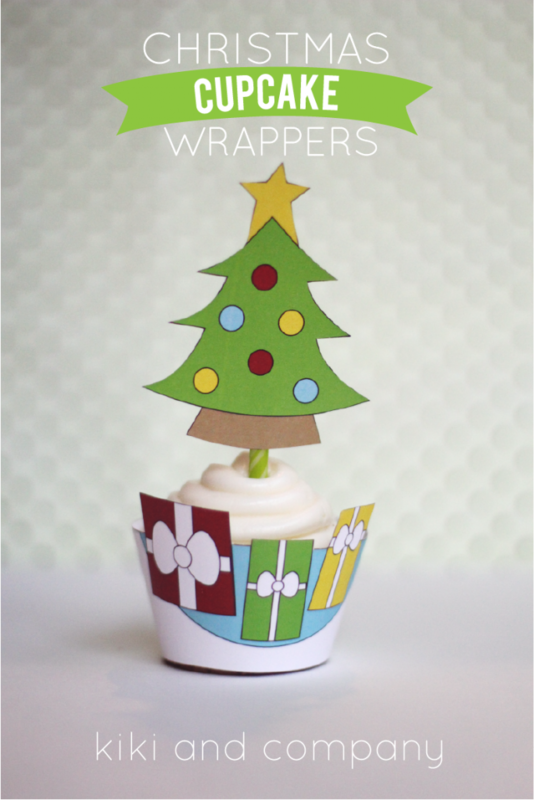 To assemble, simply print out the free download, cut it out, hot glue a toothpick to the back of the heads (or tree) and then hot glue the cupcake wrapper to fit your cupcake, stick the head into the top of the cupcake and voila you are done! There is even a space to write who the treat is from on the back. I did this same thing for Halloween and if you don’t want to take cupcakes, you can turn these into treat cups. You can see the how-to directions HERE. 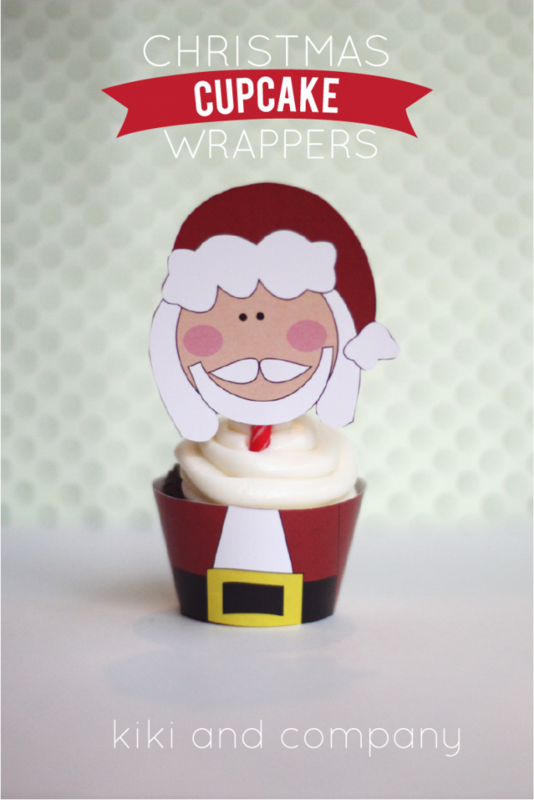 DOWNLOAD YOUR FREE CHRISTMAS CUPCAKE WRAPPERS HERE. I hope your holidays are fantastic and that you get to spend time with those that matter most.